Vladimir Kramnik analyses the decisive game from the FIDE World Cup. All four players from the semi-finals comment on their best games! 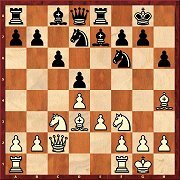 Biel: Maxime Vachier-Lagrave analyses his final round victory against Ding Liren which oepned the door to a four players' tiebreak. More annotated games by Ding Liren and Moiseenko. "Play of the day": Daniel King explains the best game of the day in video format. Dortmund: Michael Adams shows two of his best games from the tournament of his life. 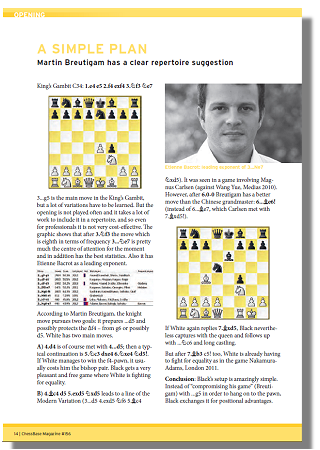 11 new opening articles including "A simple plan" against the King’s Gambit, "A venomous side-line" – Ruy Lopez with 5.d4, the "Prins Variation" - 7...Na6 in the Grünfeld Defence. 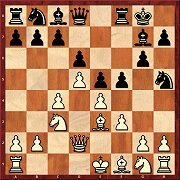 Martin Breutigam: "A simple plan"
The German chess coach and Bundesliga player Martin Breutigam recommends the move 3...Ne7 against the King's Gambit to you. There is much less to learn here than in the main line with 3...g5. Moreover, 3...Ne7 is not only in vogue these days but it also has the best statistics! 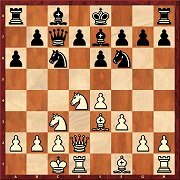 White usually replies with 4.d4 or 4.Bc4 - but according to Breutigam in both cases it is the white player who must struggle to equalize the game. In contrast, the black setup is "amazingly simple"! 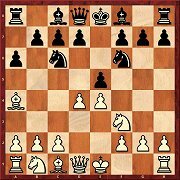 This principled variation in which White defends the pawn was up for discussion in Aronian-Ivanchuk, London 2013. Vladimir Georgiev not only gives deep insights into the main variation but at several points also comes up with improvements for both sides. 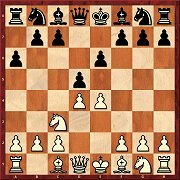 If Black wants to attack the white castled position with ...b5 und ...b4, then 8...Be7 is logical (instead of 8...Bb4). After 9...b5 10.g4 according to Evgeny Postny 10...Nxd4 "is the new boom in the whole line". So far White has not found a setup which can cast doubt on the black plan. Martin Breutigam comes up with an elegant repertoire against the King’s Gambit. The knight is aiming for g6 or – more frequently – after a previous ...d5 it ends up on this central square and from there protects f4. If indeed he does so, White only gains the f4-pawn by surrendering the bishop pair. According to Milos Pavlovic this variation has become extremely popular in recent years and he calls it the Modern Spanish. The material is divided into lines with and without a4. In both cases White is still is still making serious attempts to get an advantage. The variation with 5.d4 does not demand much learning on the part of the player with White, but is perfectly suited to use as a surprise weapon. 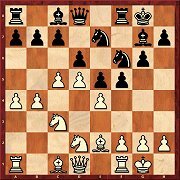 There are several ways for Black to go wrong and as Michal Krasenkow shows, White has interesting play even in the main line. Mihail Marin goes into the question as to whether the insertion of h6 and Bh4 can be useful for Black. Yes, is his answer, in the diagram 11...Ne4 works. 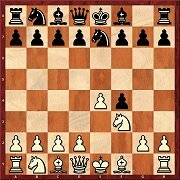 The analyses prove that White has fewer prospects of an advantage than in the lines without the insertion of the moves. White likes to meet the Grünfeld Defence with 5.Qb3 and the Prins Variation (7...Na6) is one of the most popular replies. In his article Igor Stohl gives a rough survey of the side-lines and then takes a close look at a few recent developments. In a three-part article Petar Arnaudov shares with us his specialised knowledge about the Tango. 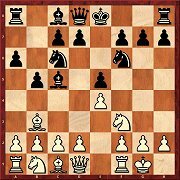 Since the original Tango 2...Nc6 can be strongly met with 3.Nc3!, nowadays play usually proceeds via 2...e6. In part 1 lines with 4.a3 d6 are examined. Of course White is not obliged to castle into an attack on his castled position. 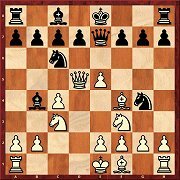 The usual move is 9.0-0-0, which is also examined in detail by Boris Schipkov. 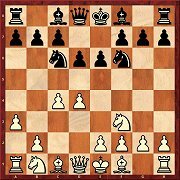 But those who want to avoid the closed positions after 9...f4, should play 9.exf5 right away; that is also the author’s recommendation. 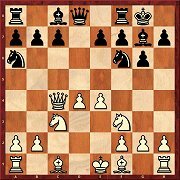 9...Ne8 is the start of a very sharp variation against the Bayonet Attack – Black puts his money exclusively on an attack on the king. White quickly gets in c5 and Nd2-c4. He is better placed, but as Krisztian Szabo explains, in practice Black nevertheless has good chances.